Black seed oil by Health Harmony is the product that provides all-natural benefits without compromising your health. People strive for quicker and natural recovery and this is what Black seed provides. this product is 100% pure and cold pressed. The most unfiltered form of black seed is available that supports healthy liver, strong nail and hair, and fresh glowing seed. This black cumin seed help to get rid of all toxins in the liver and provide maximum strength with antioxidants to reduce inflammation and provide quicker recovery from all the diseases. The supplement is focused toward providing the best and efficient results to the consumers with side effects that damage the inner body slowly. Black seed oil is a product of Health Harmony. Since its inception, the company is offering organic, premium quality and healthy supplements to the consumers. The company always work hard to provide the best customer services and excellent products to the consumers. All supplements are laboratory tested and well researched by following the need of the consumers. Full disclosure of ingredients and dosage details are printed on the product label for the ease of consumers. Black seed softgels are made on FDA approved facilities and are fully certified and safe to consume. For advice and additional information about this supplement or helpful tips, you can contact the manufacturing company directly at the following phone number: 1-952-930-6833. Ingredients: Black Cumin Seed Oil(Nigella Sativa). Other ingredients: Vegetable Cellulose and D-Alpha Tocopheryl Acetate. If you want to give an extra boost to your energy and want to live a healthier life by using organic and chemical free products, then Black seed oil capsules are the best choice. Black seed oil is generated from Black cumin seeds which are famous for having essential fatty acids and phytochemicals. These are very important to get a healthier living. This product provides the benefits of stronger hair roots, nails, glowing skin, weight loss, detox liver and protection against infection. The capsules are easy to use and a go-to supplement for the people generally forget to take their dose on time because of its formulations. Instead of a liquid formulation, capsules are easy to intake and absorb better in the body. All the supplements are Gluten free that make it easier for the people suffering from various types of allergies. Vegetarian softgels are made non-GMO and under GMI facilities in the USA. Packed in a sealed bottle Black seed capsules comes from an organic source. Handpicked ingredients, unique formulation, well-researched team and clinical tested results have made this product top-ranked among other brands. It is truly a product that will eliminate all the toxins and impurities from the body. The results would be visible in just a few weeks. A healthy, glowing and radiant skin is possible with organic Black seed oil by Heath Harmony at a very reasonable price. How Much Does Black Seed Oil Cost? Black Seed Oil is a little less expensive than other similar nutritional supplements. Black seed oil by Heath Harmony is the most natural product with Zero chemicals and Zero preservatives. This quality makes it the safest product on the market. Where To Buy Black Seed Oil? 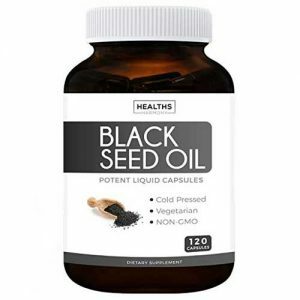 Black Seed Oil can be ordered online from different places but our recommendation is to either buy it directly from the manufacturer or purchase it from trusted online retailers which may offer you discounts. We did a research on other products from Healths Harmony. Here is a complete list.